Nakao Seigetsudou was first established in 1870. They specialise in making dorayaki, a type of Japanese confection that takes the form of two small pancakes filled with sweet Adzuki red bean paste. 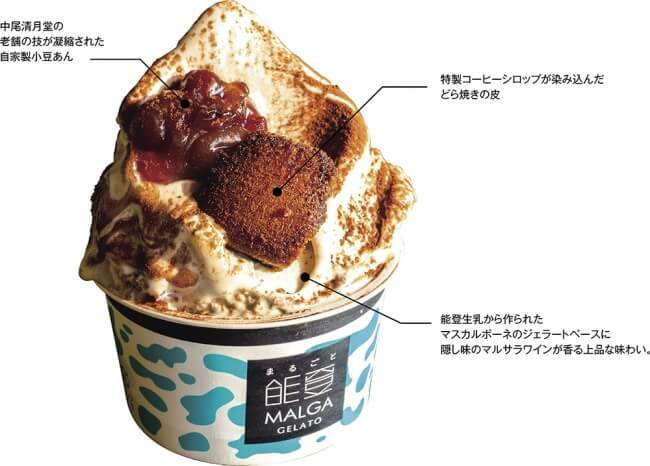 The company released a new product called ‘Dorayaki Gelato’ on July 9 at its three stores and online shop which uses whole pieces of dorayaki. It’s made in collaboration with Malga Gelato which is spearheaded by international gelato master Taizo Shibano. It’s a hugely popular product that sells out all the time. The Dorayaki Gelto is made with Nakao Seigetsudou’s fantastic bean paste with the outside made of dorayaki which is cooked round like real dorayaki. It’s also made with coffee syrup and mascarpone cheese, making it like a tiramisu while having a Japanese-style flavour. The product is also frozen so it can be shipped anywhere around Japan. 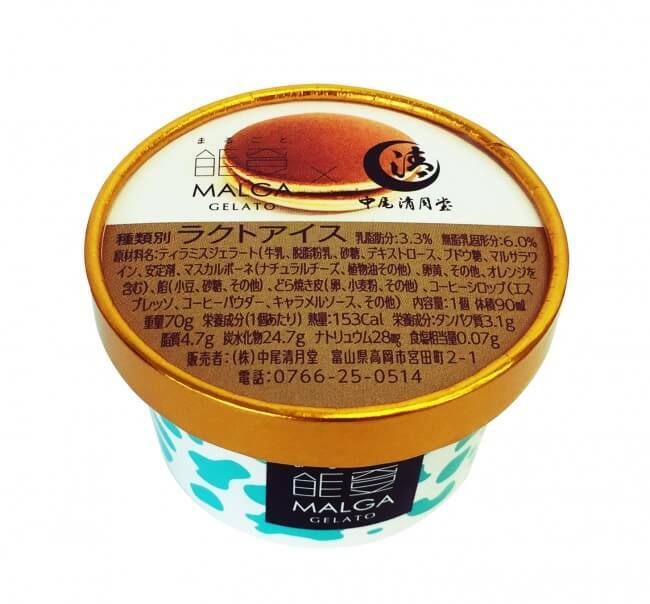 Toyama Prefecture where Nakao Seigetsudou is based and Ishikawa Prefecture where Malga Gelato is based ranked as the biggest consumers of ice cream in Japan in 2016 and 2017.